The urban landscape makes for as varied images as the natural one. Here in Lincoln the weather became inclement and an opportunity arose. It poured !! rain has been a major feature of oour weather this summer. 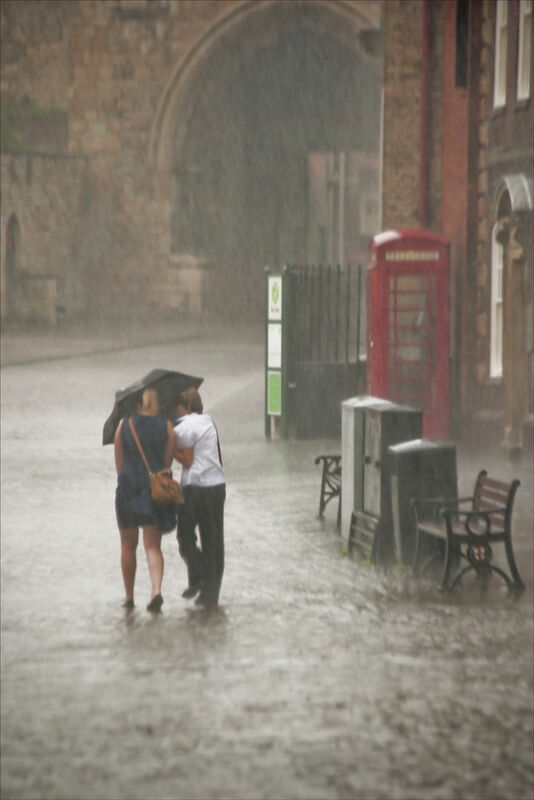 Deluges have been frequent and flooding has occured all over the UK. Seen here is how we cope or not ! !